Thanks to BHPian satya180 for sending these images in. Heartfelt gratitude for sharing them with other enthusiasts via this Team-BHP page! 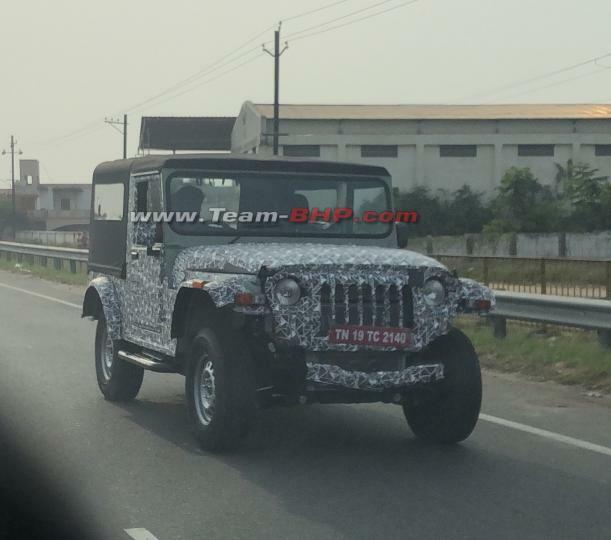 The next-generation Mahindra Thar has been spotted testing in Coimbatore again. The new set of spy images reveal the vehicle's wide body and new front end. The test vehicle is instantly recognizable as a Thar. However, it looks wider than the current model. The Jeep CJ5-inspired styling has been carried over and features a 7-slat grille flanked by circular headlamps and pre-production indicators mounted on the fenders. The windshield appears wider and is fixed. The car has a fabric top, side steps and a side-hinged tail gate. This particular test mule appears to have some testing equipment mounted at the rear. The next-generation Thar is expected to be based on a new chassis and is likely to comply with upcoming safety and emission norms. 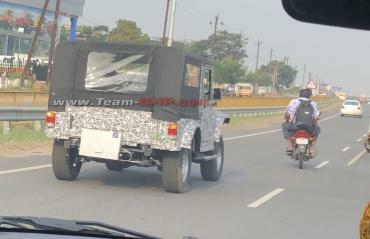 It could be powered by a BS-VI compliant diesel engine mated to a 4-wheel drive system with locking differentials. The spy images suggest that it could get independent suspension at the front. 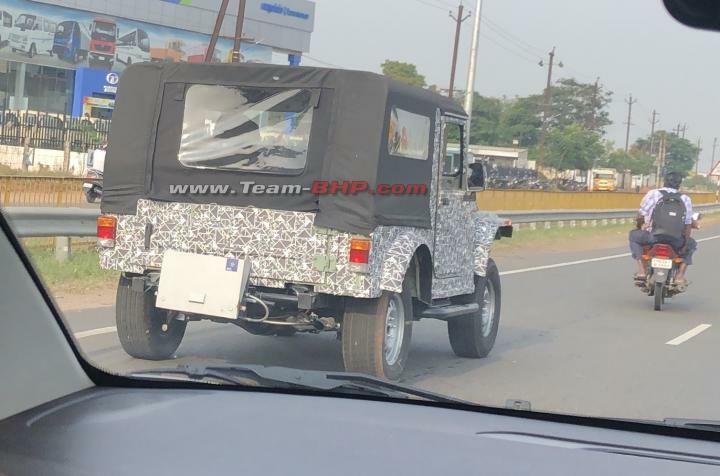 There are rumours that the new Mahindra Thar will make its debut at the 2020 Auto Expo.